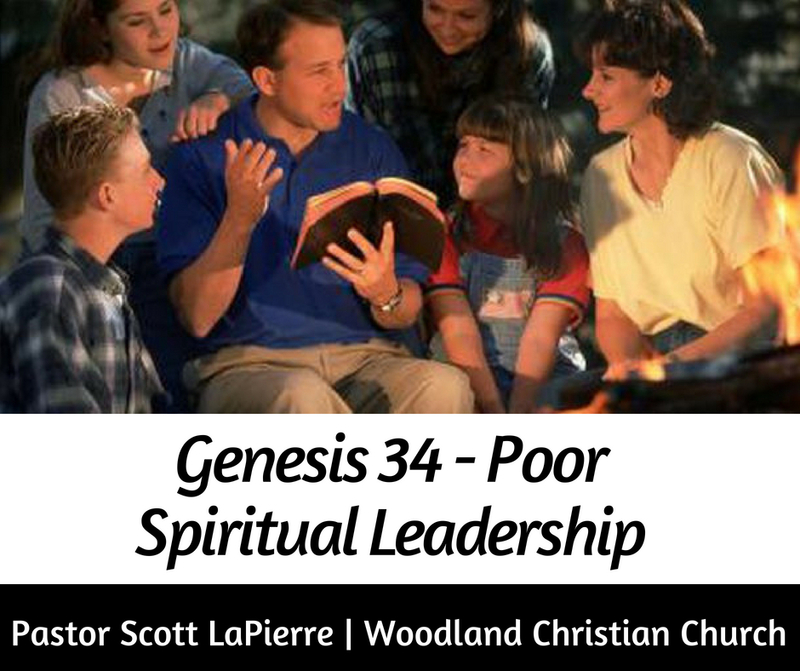 Go to "Poor Spiritual Leadership"
Lesson 1: __________________ is no substitute for obedience (Gen 31:13 cf. Gen 33:20; 1 Sam 15:22). Lesson 2: A father’s ____________________ endangers his family (Gen 34:1). Lesson 3: The __________ __________ to assimilate our families (Gen 34:8-10). Lesson 4: A fathers’ _________________ causes problems (Gen 34:6-14, 3:17, 16:2). Lesson 6: ______ __________ our witness (Gen 33:20 cf. Gen 34:30). Lesson 7: (Part I) It’s __________ too ________ for a father to lead (Part II) and when he does his family __________ ______________ (Gen 35:1-4; Matt 11:28-30). Day 1: Read Gen. 31:13, 33:18-20 and discuss: Examine yourself. What was the last thing that God clearly revealed to you, through the Holy Spirit and His Word? Are you still walking in obedience? Or, is there need for repentance? Day 2: Read Gen. 34 and discuss: What are some clear examples of lines you’ve drawn with your family (or, as a non-father: lines that have been drawn in your family)? What is the reason for these boundaries? Does your family understand why there are certain things that are off-limits in your household? Recount an example from your past (or someone you know) of compromise and/or world assimilation. Discuss the lessons your family could learn from this situation. Day 3: Read Gen. 35:1-4 and discuss: Examine yourself (whether you are a father or not). What sin(s) used to characterize your life? What sin is something that you are actively trying to put-off, but is not completely put-off, yet? What sin do you need to repent of? What do you need to seek forgiveness for? When was the last time you confessed sin to someone else in your family (or to a close friend)? When you feel discouraged because of sin, what kind of response from you would glorify God and exalt Christ?